Whilst we were all a little shocked to find our beloved Great British Bake Off had been pilfered by those pesky programme execs over at Channel 4, it still won’t stop us whipping ourselves into a frenzy over what has undoubtedly been one of the surprise TV successes of the decade. Mary, Mel and Sue may all be hanging up their oven gloves, but at least Paul will still be on hand to make sure things rise and set as they should, casting his immensely blue eyes over proceedings. The British love of all things sweet and savoury, including cakes, bread and even patisseries (don’t tell the French, but we love them too! ), has ultimately led to the success of the programme, with an estimated 12.5 million of us tuning into the 2015 series each week. However, it is the self-deprecating wit and a slightly perverse enjoyment of watching things going oh-so wrong which gets us reaching for our remotes each week. If you’re an aspiring baker, or even a future contestant in the making, there is one thing you really need to succeed and that is a great kitchen in which to do some Great British Bake Off style baking. First and foremost, space is key. You need a good quality kitchen worktop that is wide enough for all your implements and ingredients, and large and sturdy enough for kneading, proofing, rolling, flouring, piping and resting. A good quality kitchen worktop is vital to get the ball (and your dough) rolling. The material from which your worktop is made can make a big difference to the overall effect. Granite and solid wood will certainly help your kitchen look the part if you have the budget to spend. Laminate worktops are very popular in the UK, thanks to their relative cheap price and range of finishes. Keeping your surfaces clean and germ-free is key and a laminate worktop will certainly help you do that. At the end of the day, who wants to pick up food poisoning from your brioche recipe? No self-possessed baker would be without their trusty old food mixer. Used for a variety of purposes including blending and mixing, the food mixer is a crucial element when it comes to perfect pastries and brilliant bread. Whilst in times gone by, it would take an almighty amount of elbow grease and muscle to mix and knead ingredients together, these days there is much less effort involved. If the Great British Bake Off has taught us anything, it’s that no two ovens are the same. All too often contestants will sit staring at their ovens, not really knowing exactly how long something will take to bake. The secret to being a really great baker is getting to know your oven. The time it takes and the recommended temperature in one recipe won’t necessarily apply exactly to your oven. Modern fan ovens tend to be more efficient, heating things quicker and at lower temperatures than their traditional counterparts. To be a good baker you need to be at one with your oven, so make sure you get plenty of practice in, provide ample space next to it and keep it clean. Many an overconfident cook or baker has come to a sticky end because they didn’t follow the measurements correctly, preferring to measure things by sight or instinct. For those of us who aren’t professionals, measuring correctly can certainly make or break a pudding or pie. 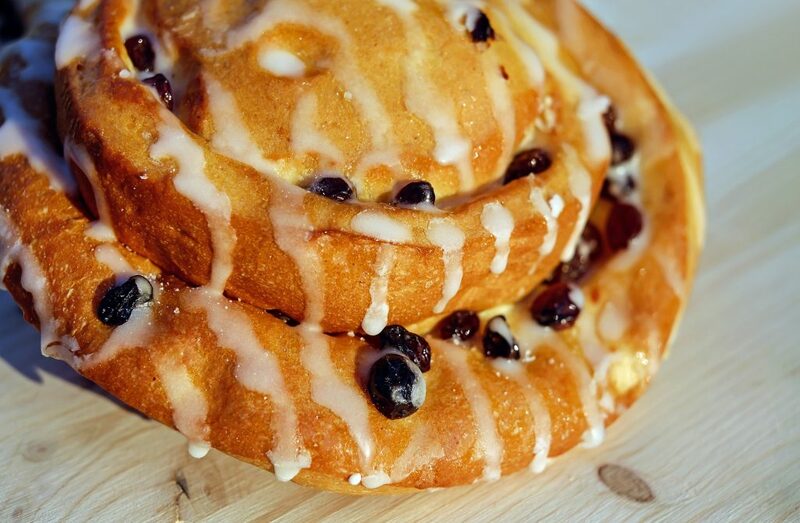 Are your Danish pastries this delectable? Confusing teaspoons with tablespoons is often the most common mistake (I mean, who decided the main measurements should be written as “tsp” and “tbsp”?). And what on earth is a “cup” as a measurement? Does this mean a dainty china tea cup? Or a whopping great coffee mug? A handy set of measuring spoons should help to avoid any confusion. So you’ve thrown your dough with direct precision onto your kitchen worktop, the next step on the journey to pastry perfection is rolling it out. The trusty rolling pin had always held a special place in our culture, not least when used by the downtrodden wife of cartoon strip character Andy Capp as a method of punishment. Cartoon violence aside, the fact that the rolling pin is often associated with the old-fashioned view of a housewife does demonstrate how common this implement was and how it is held in esteem throughout the UK. 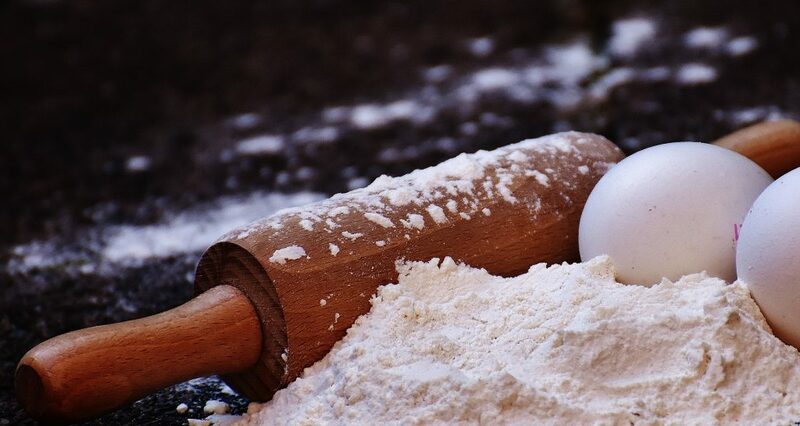 Of course, a good rolling pin is essential to flatten dough on your worktop, with a sprinkling of flour for good measure. Follow these tips for a Great British Bake Off kitchen and soon enough you’ll be making perfect pastries, brilliant bread and cracking cakes. And, if you’re feeling generous, why not send some my way?